Pokémon Go is now the most downloaded smartphone app in the US and its users aren't just wandering the streets looking to catch the characters. 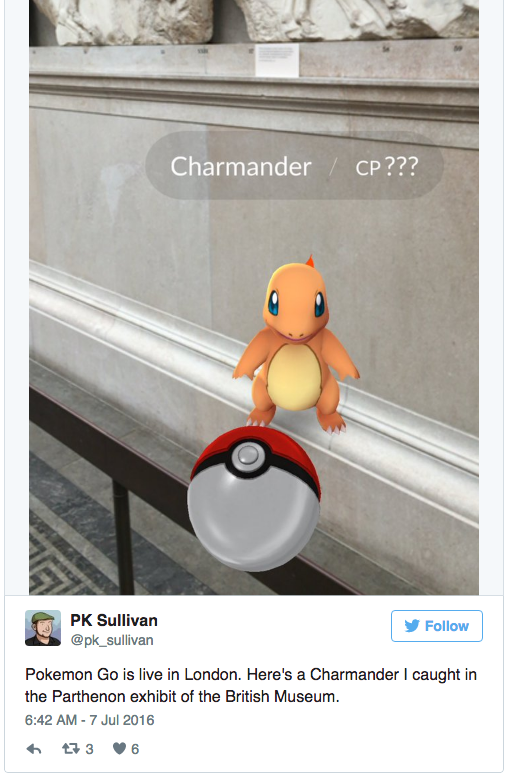 Museums are embracing the game, and are taking advantage of the crowds, drawing an increase in traffic by becoming a Pokéstop. The Metropolitan Museum of Art, British Museum, the Art Institute of Chicago, and Boston's Museum of Fine Art are just some of the well known Pokéstops. While making public art, cultural hubs and monuments stops in the game are seen as mostly good, there are some concerns with its sending people to the 9/11 Memorial and Washington DC's Holocaust Museum. What are your thoughts? Will these crowds stick around long enough to check out the art?